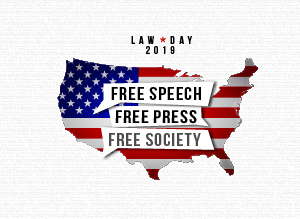 Law Day is part of a national American Bar Association (ABA) celebration that, this year, is using the theme “Free Speech, Free Press, Free Society”. 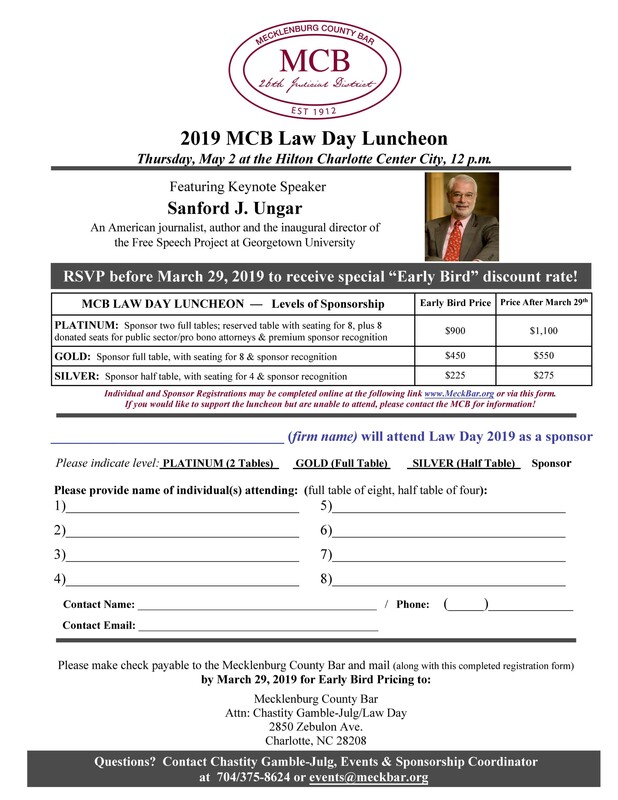 The Mecklenburg County Bar (MCB) will host its annual Law Day Luncheon on Thursday, May 2 at the Hilton Charlotte Center City at 12 p.m.
will provide the keynote address on free speech at this year’s luncheon. In keeping with MCB Law Day tradition, we will present the Liberty Bell Award to a non-lawyer who has served our public and legal community in immeasurable ways over the years. The MCB is proud to announce member Hon. Rebecca T. Tin will receive the 2019 North Carolina State Bar’s John B. McMillan Distinguished Service award. The annual award recognizes current and retired members of the North Carolina State Bar throughout the state who have demonstrated exemplary service to the legal profession. The award presentation will be held at our annual Law Day celebration. 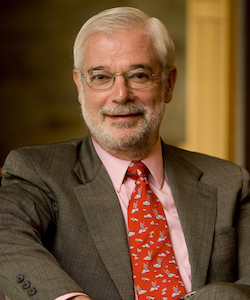 For more information on the John B. McMillan Distinguished Service Award, click here.